There’s a common misconception among many gamers that the mobile gaming industry is a cheap way for developers to make games and bring in lots of money. You can’t really blame people for thinking this, often we hear about some of the success stories about teams of just three or four developers coding in their bedrooms, launching an app on the AppStore (other app stores are available) and seeing overnight success, earning hundreds of thousands of dollars in revenue over a few short months. Flappy Bird is one of the biggest examples, where a single coder managed to bring in more money a month than many people earn in a year through ad revenue. Of course, the game was pulled from the marketplace, with Dong Nguyen (the developer) citing that the game’s success was “ruining his simple life”, others have questioned the game’s originality and likeness to Piou Piou vs Cactus which was released some two years prior. But regardless, it’s stories like this in circulation that have given the impression that developing mobile titles is a piece of cake compared to console or PC games – it’s something that I was beginning to believe myself. Let’s face it, it’s the dream for many people – making a ‘simple’ product that brings in the big bucks. 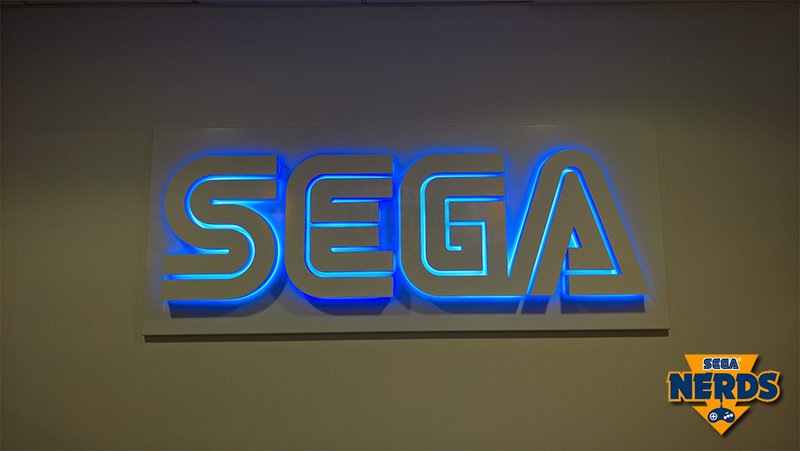 But that dream is often far from the truth for many of the industry’s developers and my perception on this matter changed on Monday Nov. 13, 2017, with an eye-opening visit to SEGA’s most prominent mobile studio, SEGA HARDlight. Founded in 2012, HARDlight was established by SEGA to specifically develop handheld titles, originally focusing on an action adventure for the PS Vita, and also expand the company’s reach into the, then, fast-growing mobile gaming industry. But that strategy changed slightly, when their Vita title fell into obscurity and the team’s focus shifted towards the mobile market – with the single exception of porting the excellent Viking: Battle for Asgard to PC (so it’s not been 100% mobile). 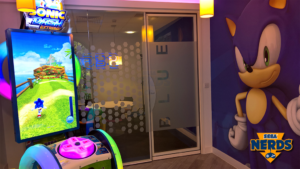 The studio was made up of a range of industry veterans, including several members of SEGA Racing Studio (which closed doors a few years prior) and headed up by former Chief Technology Officer for SEGA Europe & America, Chris Southall. Some five years on and the studio has seen success with several mobile titles, many of which are based on the Sonic the Hedgehog franchise. 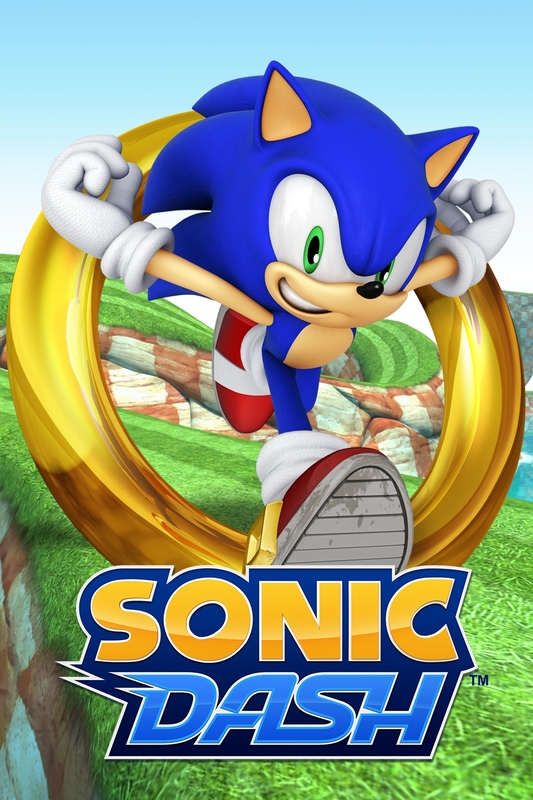 Possibly the best known and most successful of SEGA HARDlight’s games is Sonic Dash, an addictive and gorgeous-looking endless runner – where gamers score points based on how far they can run through the various surroundings, allowing them to unlock new characters and upgrades, plus upload their scores to servers and try to beat their friends. This year sees SEGA HARDlight release another Sonic mobile title, Sonic Forces: Speed Battle. As the name suggests, it is tied in to the Sonic Forces universe and, you shouldn’t be too surprised, it looks and plays in a very similar way to Sonic Dash (well, if it ain’t broke, don’t fix it – right?). 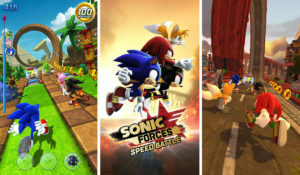 Unlike Sonic Dash, though, Speed Battle is not an endless runner, replacing this mechanic with a multiplayer aspect, allowing gamers to directly compete against three other players in live races – with actual finish lines to each stage. 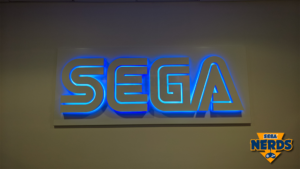 It’s not a SEGA office without a neon sign! 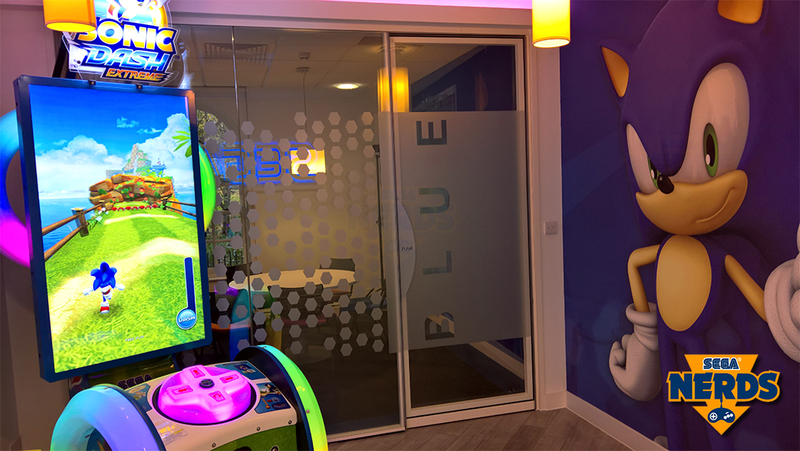 Nestled in the centre of the picturesque and quaint town of Leamington Spa (about an hour’s drive from London), you’ll find several gaming studios, including SEGA HARDlight. My visit started out by a quick tour and introduction with SEGA Europe’s Mobile Games Community Manager, Fran Shergold, and HARDlight’s Director of Operations, Harinder Sangha. Immediately, the misapprehension that mobile teams are made up of a handful of people was quashed – HARDlight’s office proved that idea wrong straight away. 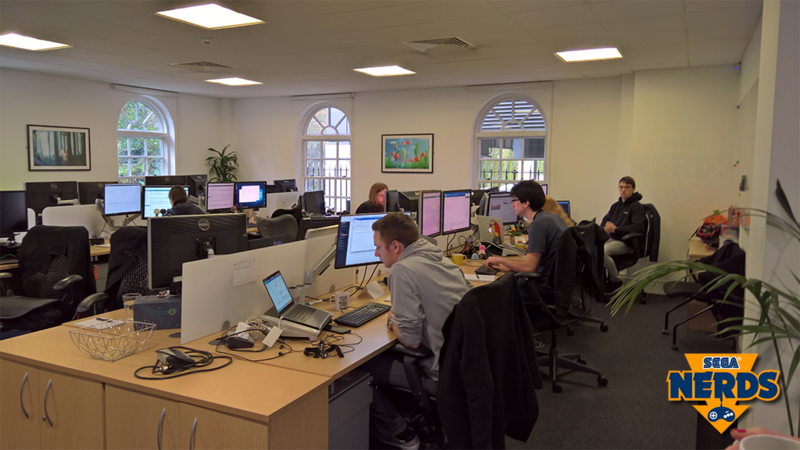 While it’s not the biggest gaming studio I’ve ever visited, it was a bigger team than I had expected. HARDlight was initially setup with some 20-odd members, with room to grow to about 35-40 people. 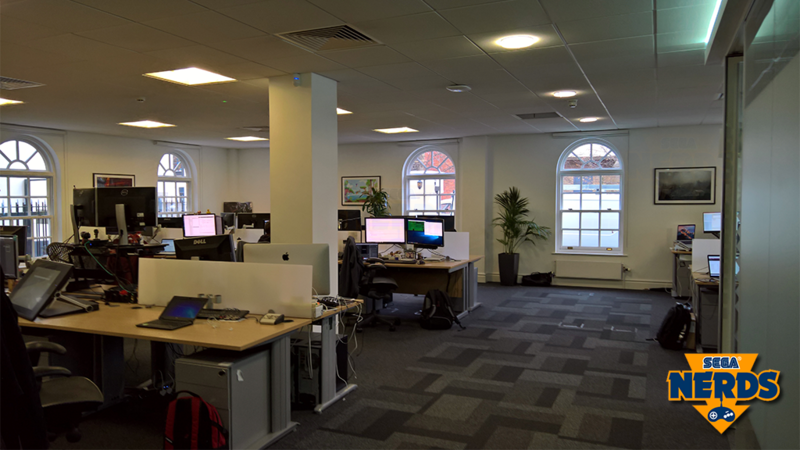 The studio’s current team is actually around the 50-person mark and Harinder commented that HARDlight recently had to acquire the office next door to expand (the signage from the old company is still on the door). You could also be forgiven for thinking that mobile teams are only made up of developers, just coding away like some farm animals, until someone pushes a button to upload it to an app store and the game’s released into the world. And then the team begins developing yet another title. I can’t speak for every mobile studio (again, you do hear stories of such studios and teams out there), but SEGA HARDlight is made up of a range of departments, from developers, to analytics, art, design and QA. The structure of the team was also one that surprised me. Through the handful of game studios I’ve visited in my time, I’ve usually witnessed quite a rigid hierarchy structure; trickling down from studio heads, to management teams, to project leads and then basically everyone else with their own micro-management eco-system. But SEGA HARDlight’s team was more flat and open. You had the studio head, Chris Southall and maybe a couple of other managers, but then the structure seemed very open. And those few managers weren’t encased in glass offices away from the team, they were among them, part of the team. I know this open team dynamic isn’t a new or unique concept, many companies are adopting this approach, but SEGA is a company that was born from a time that this wasn’t the norm and even SEGA’s main offices in London don’t seem to have this open, flat structure. It’s also a working environment that’s often hard to maintain – I’ve also worked in tech/media companies that claim they have this approach to work life, but it’s always easy to see how the management staff split from the rest of the team and it becomes the usual ‘them verses us’ dynamic among the rest of the staff – but not at HARDlight, it seems. Matt Allan was one of the first team members I was introduced to. Lead Artist on Sonic Forces: Speed Battle and a resident SEGA Nerd (shout out to Matt! ), he was able to explain some of the process of how they worked on creating Speed Battle’s look and feel. 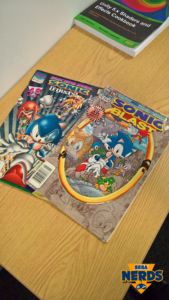 Matt was quite specific about 3D Sonic titles, so I asked whether they ever draw inspiration from the classic 2D Sonic games. 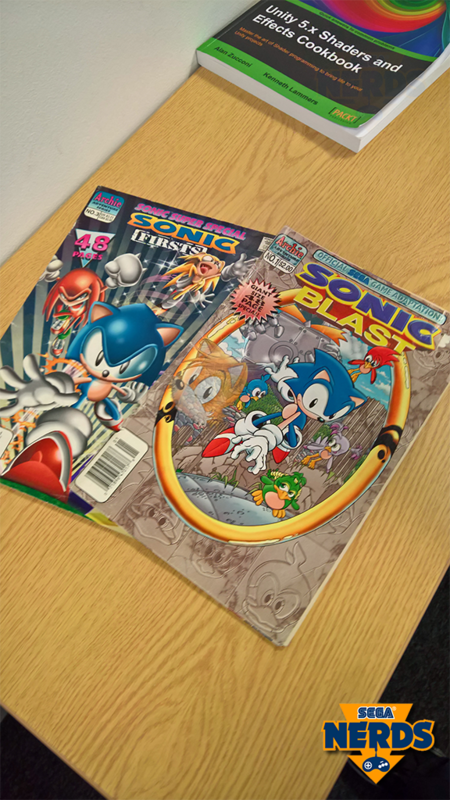 Matt informed me that they would rarely use the 2D Sonic games as a basis for their tracks, because there would be a lot more work involved. It makes sense, essentially it would be a waste putting a lot of effort into transitioning a 2D level into 3D, only for it not to meet the approval process in Japan. This is not to say that HARDlight is simply taking environments from other Sonic titles and dumping them into their own game, it doesn’t work that way. 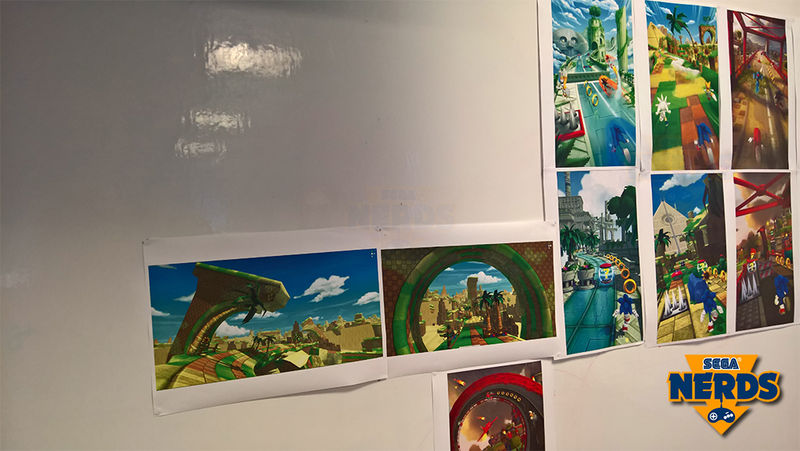 The art team draws up concept art for each Zone and translates it into 3D from scratch and it still needs to be approved by Sonic Team. The team had also created quite a nifty way of building their levels, once the artwork was approved and created. Because each level in Sonic Forces: Speed Battle is, essentially, a race track, the team has created small, inter-connecting segments of each track, such as rails, loops or split paths etc. and put them into Unity as separate pieces. From there the team can take each piece of track and slot them together in a variety of ways – think a computer-generated version of Scaletrix. Of course, they can still only have a finite number of these pieces, but to ensure they don’t look too repetitive, they can easily change parts of each track piece, such as plants or trees, with the click of a button. The result is hundreds of variations on a single course. One other thing that became clear visiting HARDlight, is that once the ‘go live’ button is pressed, the game is far from finished, if anything, there’s more work to be done. Speaking to James Back, the Live Ops Manager, I was shown how HARDlight monitors gaming sessions and can use the data to tweak the game to ensure that it remains entertaining for audiences. One basic example of this was the way they monitor which characters are preferred by gamers and which ones win/lose the most. It was an interesting thing to look at, because characters need to be unlocked and it went to show which characters the more prominent players tended to prefer to play as. 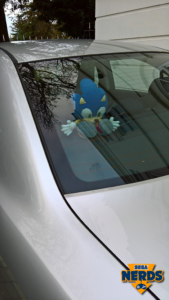 I was also shown a discrepancy they spotted early on, where Sonic lost the most races out of all the characters. But this was soon explained, because Sonic is the base character that everyone starts out with it makes sense to see that he lost more times than won, because new players would still be getting used to the controls and courses. Knowing this allows for the Live Ops team to plan around this data going forward. What can they do with this data? You might be asking. Essentially monitoring gameplay sessions allows the team to tweak the way the game plays, such as how soon characters are unlocked or in what order. Not too many details were given to me, I guess they didn’t want to say anything too concrete, in case I reported it and it never came to light, which is fair enough. But it’s clear from the way they monitor every session that the team is committed to the game’s ongoing development and the fans who play the game. This came across clearly when I met with Stephanie Brooke-Harris, a person I’m very jealous of, because she has the best official job title I’ve ever heard: Gamesmaster. Steph’s role partially involves monitoring Sonic Forces: Speed Battle’s official Discord channel and communicating with the gamers playing the game. She is able to feedback any bugs or problems people are experiencing with the game to the QA team, or even suggestions some of the more prominent players may have to improve things to the dev team. 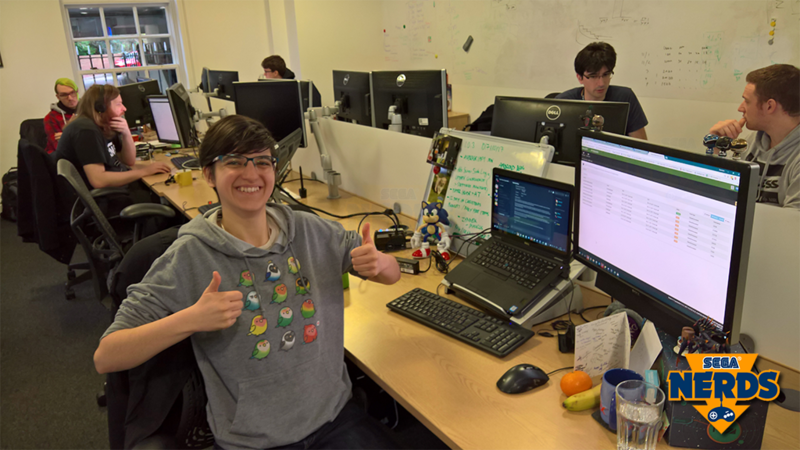 Another part of Steph’s role is to help promote new events or store bundles to the community and gauge their feedback. Again, this ensures the team is on the right track with in-game promotional events and offers. This daily communication appears to be working to HARDlight’s advantage, as it keeps players engaged with the game and lets their voices feel heard. Using standard social media platforms, such as Twitter and Facebook are a typical way many companies use to communicate to consumers, but there’s still a disconnect between companies and gamers through these channels. Meanwhile, Discord offers a more direct connection and focused user base; essentially anyone/everyone on social media can just follow a company, but Discord channels tend to be filled with people who choose to be part of that channel for a specific purpose and are actively engaging with the others in the channel. Finally, I was able to sit down with Sonic Forces: Speed Battle’s lead designer, Nick Adams. Being part of the decision process, Nick was able to explain some of the background in how Speed Battle came to be. In terms of the games conception, with the success of Sonic Dash the team wanted to try something a little different and the idea of having a true multiplayer-based game was tossed around. What’s not so clear is when the team decided to tie it in with Sonic Forces or if that was the plan all along (I never really got a straight answer from this). 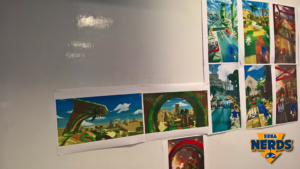 But both games started development around the same time, so it’s a very good chance that while HARDlight was planning a new Sonic game, the chance to tie it in with Sonic Forces made sense. Once again, Nick emphasized that when the game went from main development to post-launch, the team’s efforts didn’t stop, they had to shift focus to ensure the game’s ongoing success. 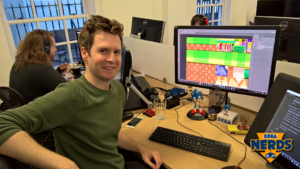 What does it take to make a mobile game? My intention was never to originally write this article. My visit to SEGA HARDlight was a simple one, to get an interview (watch it here) and meet some of the team. It’s something that I’ve done many times over the years. But visiting this studio gave me cause to pause and reconsider how I look at mobile games development, and I hope it has done the same for you too. The likes of ironing out bugs in games is part and parcel for any modern video game. But with an online multiplayer game, there’s a lot more to do than ongoing quality assurance. Servers need to be maintained, of course, but the team involved needs to continuously ensure that players are engaging with the game and new content needs to be regularly pushed out, to encourage repeat customers and attract new players. As I discovered at SEGA HARDlight, high-quality mobile games take a lot more than just a handful of coders bashing away at their keyboards; it takes several teams, much like any console game does. HARDlight is a decent sized studio, but it’s not the largest mobile team out there. Both Fran and Harinder told me that compared to many other mobile games studios, HARDlight is relatively small. It should hopefully be clear now to anyone who was under the assumption that SEGA was taking the ‘cheap’ route with its mobile division, that that’s simply not the case. While SEGA HARDlight is a smaller team than the likes which worked on Sonic Forces (and therefore it is cheaper, due to less man-power being used), it’s not a ‘cheap’ or simple way of making a game and there’s a lot more to the team structure and ongoing development than you might realize. 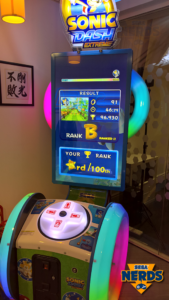 Mobile is far from my preferred gaming platform (something I’ve been open about previously), but my visit to SEGA HARDlight has opened my eyes, allowing me to understand what goes into making a mobile title and has given me a new appreciation for the mobile industry as a whole.